This Thanksgiving, Benner’s Auto Body Owner Joe O’Neill Jr. and his wife, Elena, really decided to put the emphasis on “drive” in turkey drive. 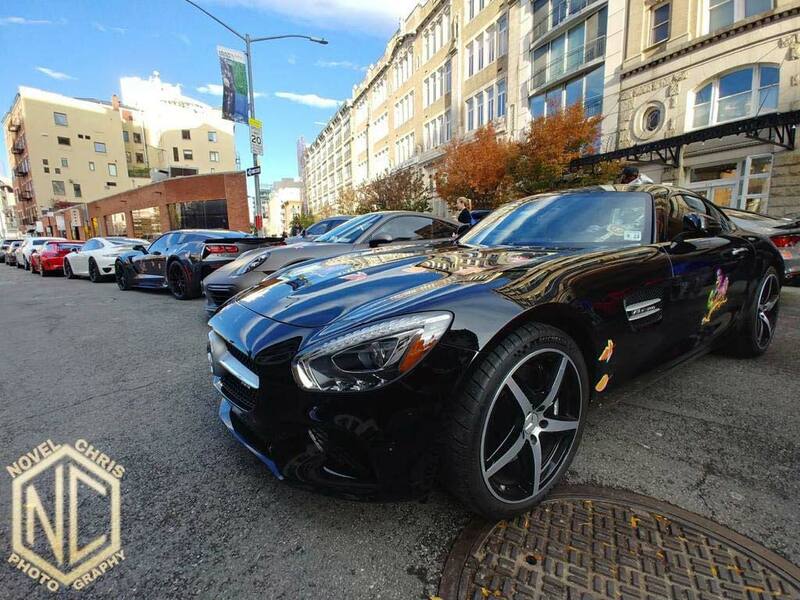 On Saturday, Nov. 10, the Benner’s couple participated in the fourth annual PCNY Turkey Drive and Exotic Car Rally, driving their Mercedes Benz AMG GT—along with more than 100 other exotic cars—from New York City to Philadelphia to Atlantic City in the name of charity. Benner’s was a first year participant and sponsor of the PCNY Turkey Drive. The 2018 rally raised enough money to donate more than 5,500 turkeys and 10,000 pounds of produce—two full tractor trailers—to those less fortunate in New York City and Westchester County. A firm believer in family, togetherness, giving back, and anything involving luxury cars, Joe felt partnering with the PCNY Turkey Drive was a no brainer for Benner’s. PCNY, or Precision Concierge New York, is a premium concierge company based out of New York, Miami, and Los Angeles with experiences including luxury car service, private aircraft, yacht charters, and event planning. Joe, his wife, and their pup, Enzo the French Bulldog, were delighted to be a part of PCNY’s fun charitable event and look forward to making an annual tradition. Happy Turkey Day, everyone!